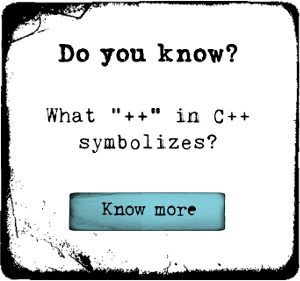 And C# is a great language to start. Why? Well what I like the most about C# is its structure, its a strong typed language. What does that mean? It means that everything is "defined" in C#, which in turn lets you write beautiful code, you will see that at one point writing the code becomes an art, it just looks beautiful when you structure it the correct way. "If you are serious about learning C# , in great details great depth with a clear yet very deep explanation you know what you have to do. This instructor have a passion for teaching he does not leave anything behind until you hit the ha moment.i sincerely thank you for this awesome course." "The lectures are very well explained, no stone left unturned! The instructor's language is good and there are plenty of exercises! A+!!" "This course is excellent! I am not a complete beginner but I still learned a lot of new things and the exercises really sweat you!" "The bonus videos are great! I never knew that these shortcuts exist! I'm halfway through the course and I learned so many interesting things!" "4 Lessons in. I like the style alot. Easy to follow, but not too easy. Instructor has the knowledge and skills to produce a proper video. Let's hope he keeps it up throughout the course. Did have to run at 1.25% speed, but sounds good still." "Very easy to follow. The Instructor is very comfortable and is very helpful :)"
Enroll now and join all of these happy students!